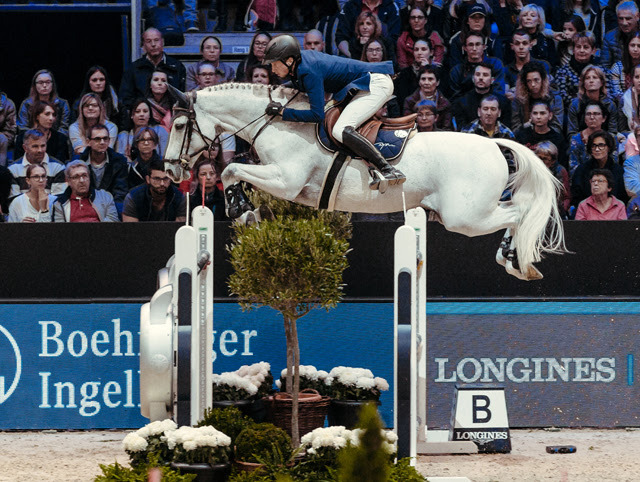 Swiss spectators were treated to a superb moment of top sport when homegrown hero, Martin Fuchs (26), stormed to victory at today’s tenth leg of the Longines FEI Jumping World Cup™ 2018/2019 Western European League at Basel (SUI). 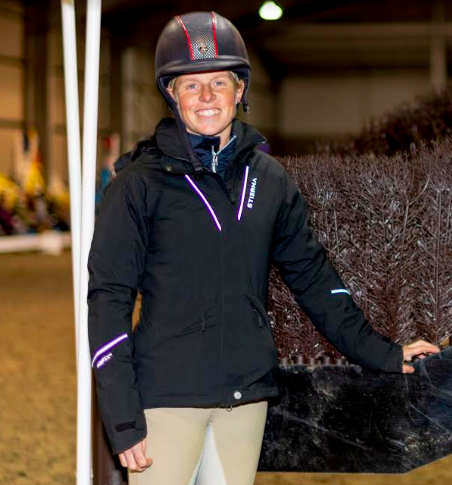 The double world eventing champion, currently 2nd in the world rankings, Rosalind (Ros) Canter (GBR) is announced as the new team rider for the Swedish brand Stierna Equestrian Sportswear. 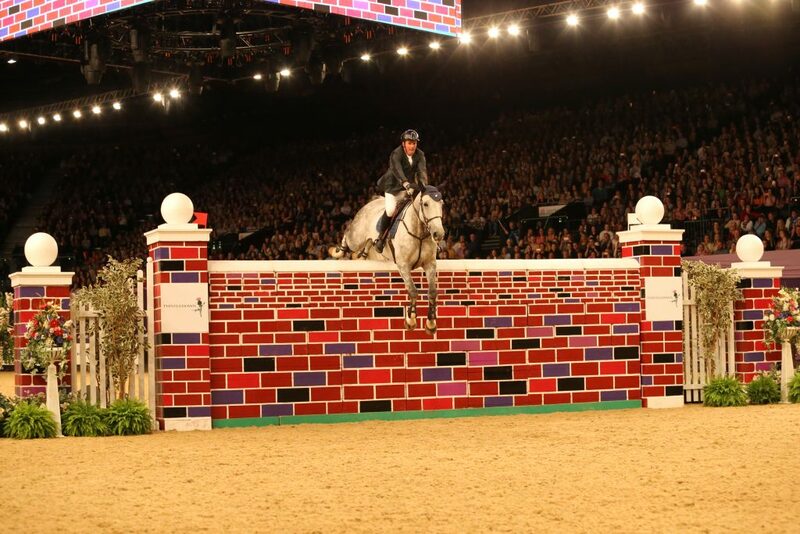 Kicking 2019 off to a flying start, Grandstand Media Ltd have announced an exciting new sponsorship confirmed for the Puissance at HOYS 2019! Ripon Select Foods and the Wood Family are thrilled to be taking on the sponsorship of the iconic Saturday evening showjumping class, which sees top riders display their precision, skill and bravery as they tackle the wall, reaching heights in excess of 7ft. 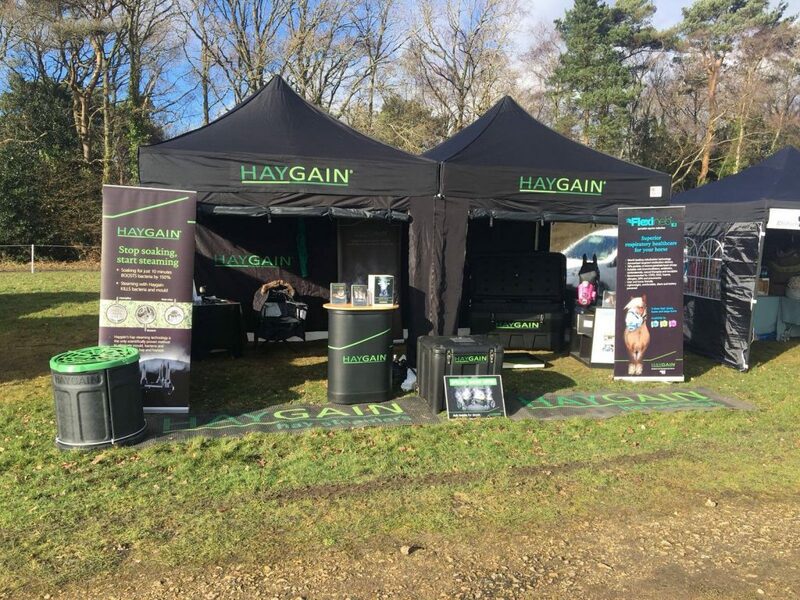 Haygain have announced their sponsorship of Tweseldown. 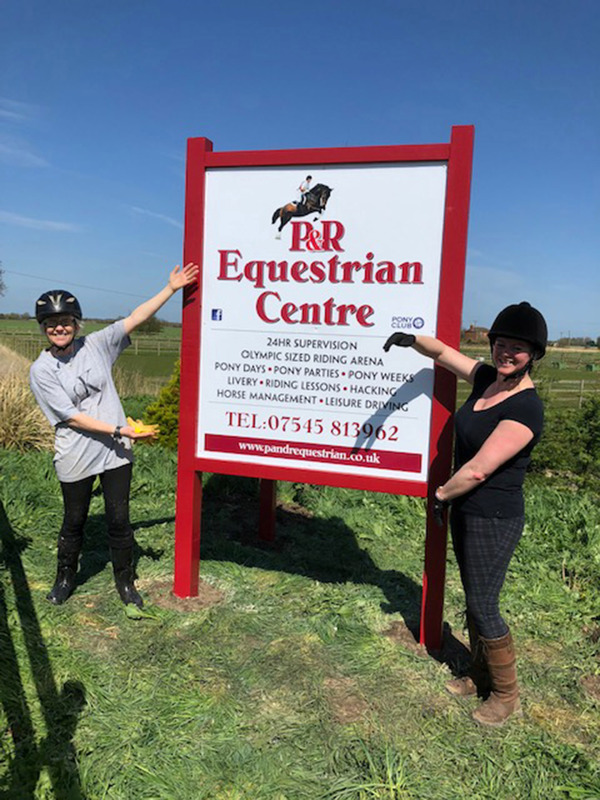 The sponsorship is for the 2019 season as well as title sponsor for the British Eventing event in May. There has been a connection between the two brands for some time and both parties are excited for the future of this agreement. Bryony Gribbin of Vale Farm Ltd are one of the latest in a flurry of new sponsors signed up to support Horse of the Year Show 2019. 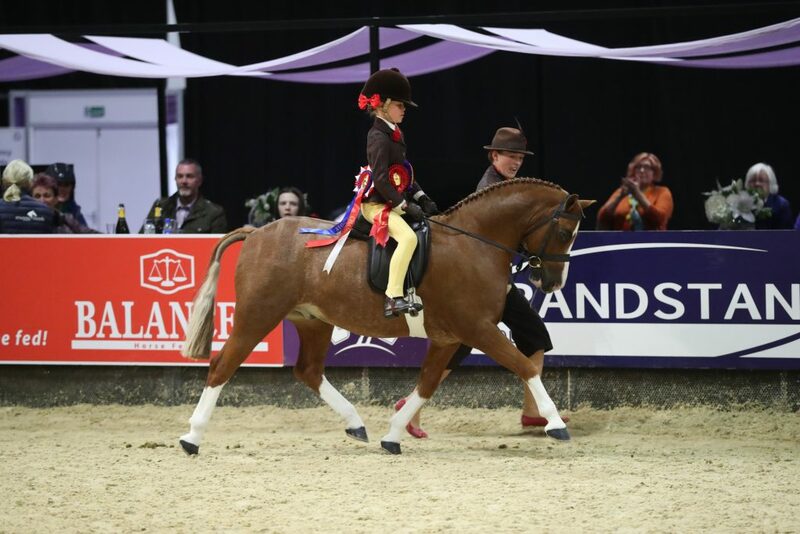 Taking on title sponsorship of one of the pony showing classes which was introduced to the HOYS timetable in 2009, the class will be named the Bryony Gribbin of Vale Farm Ltd Lead Rein Pony of Hunter Type of the Year Championship. 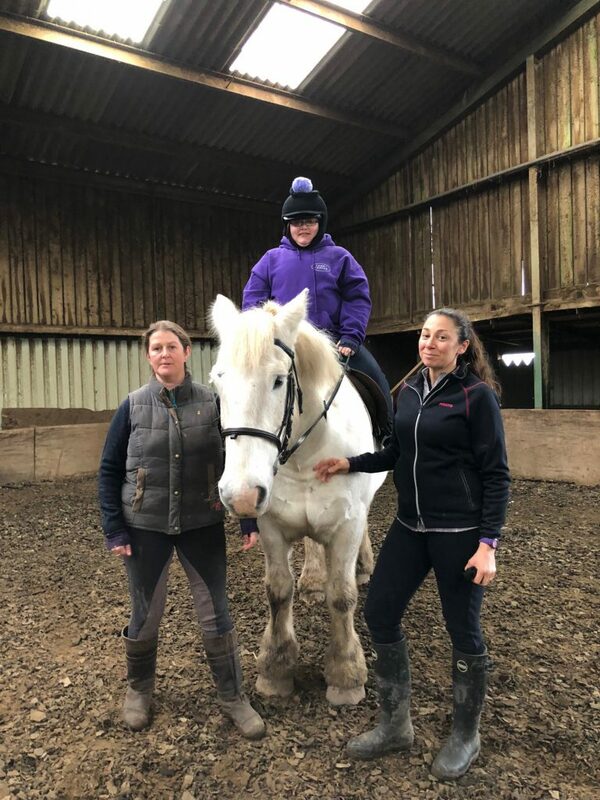 Fourwinds Equestrian Centre, based in Spalding, Lincolnshire is hoping to inspire more people to take up horse riding thanks to its Accessibility Mark accreditation. Pip Griffiths has been awarded the NAF Shining Star for December after having shown passion and dedication for her sport as well as a great ethos for team spirit. This is what sets her apart as a much valued member of the British Showjumping Gloucestershire Academy. New opportunities for para riders to compete in dressage competitions without even having to leave their own yard have been announced and launched this December. Dressage Anywhere, the online competition website, is excited to offer monthly para classes in addition to its Riding for the Disabled Association competition. Guide Dogs Volunteers Christine and Paul were surprised recently when they met with staff from Warwickshire based event company Grandstand Media who presented them with a further donation. 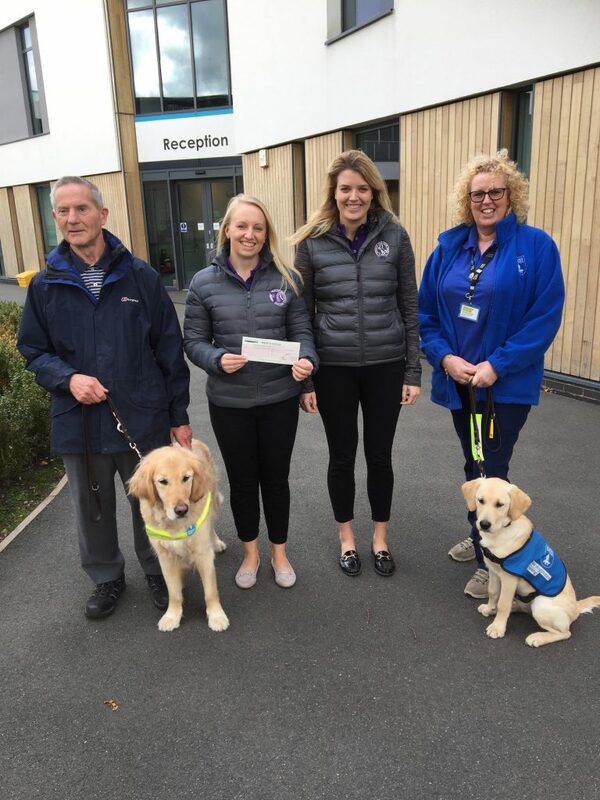 Sarah Measom, Marketing and Communications Manager handed over a cheque for over £2500, making the total that Grandstand Media have donated to Guide Dogs to well over the £12,000 mark. 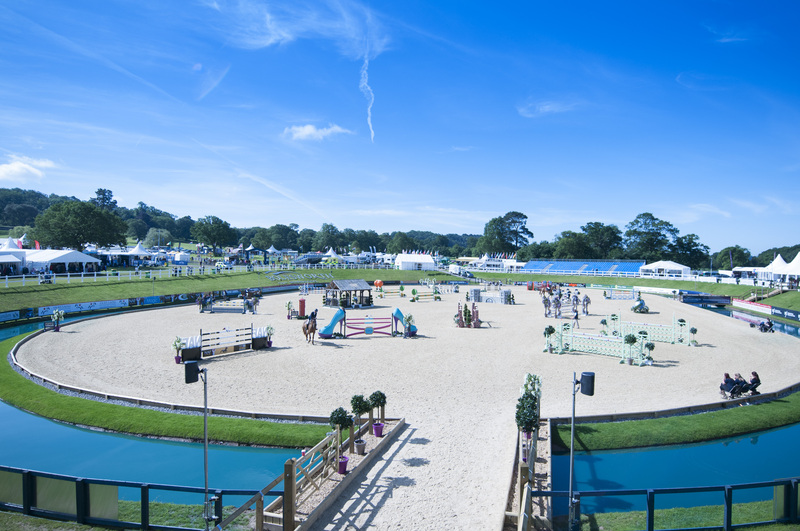 Taking place from August 13 to 18 in the stunning grounds of Bolesworth Castle the five day event will feature 4, 5, 6 & 7-year-old age classes, incorporating the Qualifiers for the FEI World Young horse Championships in Lanaken, held in September. The award, made for the best clinical research presentation from equine practice, was presented to David Rendle, for his paper Efficacy of a novel palatable pergolide paste formulation for the treatment of pituitary pars intermedia dysfunction (PPID) in ponies. 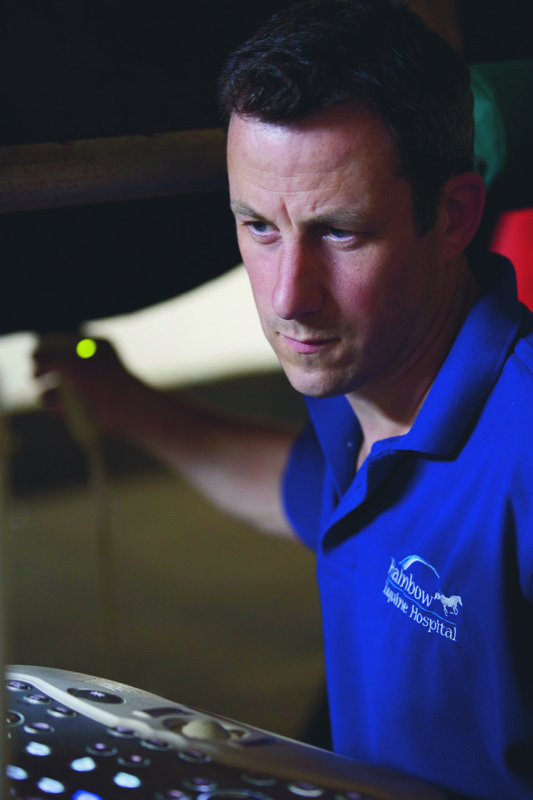 David is a specialist in equine medicine at Rainbow Equine Hospital, North Yorkshire. 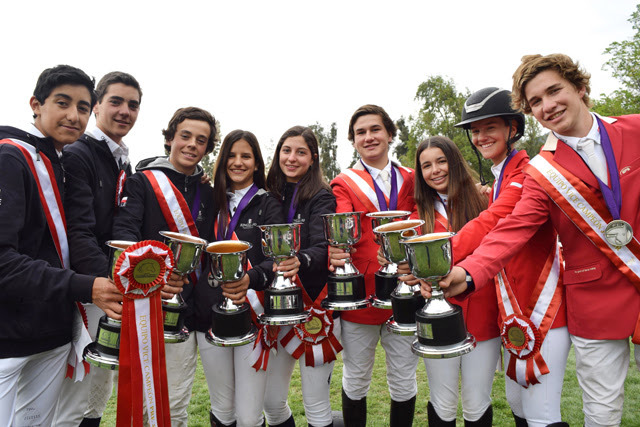 Brazil dominated once again when taking all the gold on offer, and more, at the FEI Jumping South American Championships for Young Riders, Juniors, Pre-Juniors and Children 2018 at San Carlos de Apoquindo in Las Condes, Chile. Three family businesses across Europe have joined forces to save J&E Sedgwick & Co., one of the UK’s oldest leather manufacturers. The consortium is made up of Cheshire based, Abbey England, renowned provider of saddlery and associated goods to the equestrian market, Kilger, a German tannery which has supplied Sedgwick with leather for 20 years, and Crawford Leather Company, a UK and Irish hide and skin processing company with long tradition of delivering bespoke, high quality, heavy leathers into the vegetable tanning trade. 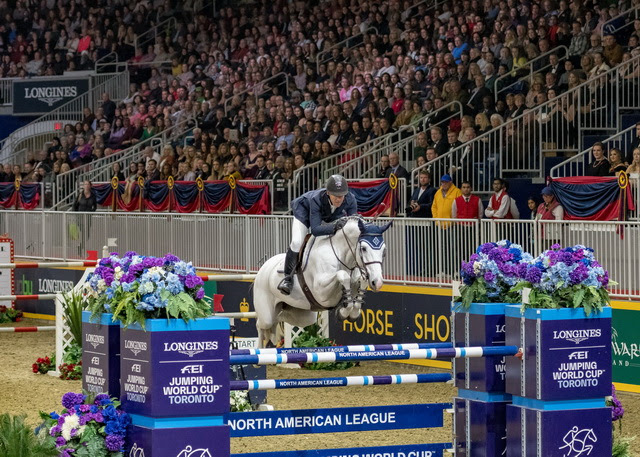 McLain Ward (USA) recorded a remarkable ninth victory at the Royal Agricultural Winter Fair when he topped the $205,000 Longines FEI Jumping World Cup™ Toronto with HH Gigi’s Girl. London Knights have won the GCL Championship of 2018 after a nerve jangling final blockbuster and will fast track to the semi finals of the GCL Super Cup at the €12 million GC Playoffs next month. 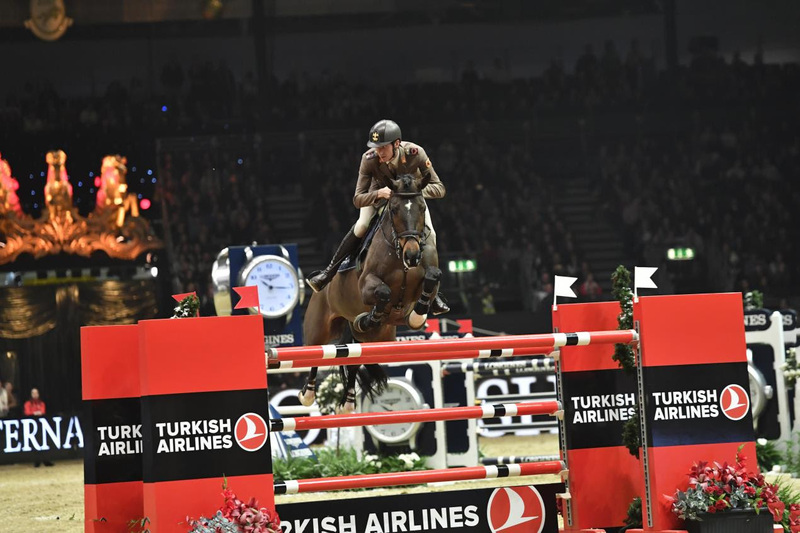 Organisers of the UK’s largest indoor equestrian Show Olympia, The London International Horse Show have announced Turkish Airlines has extended its sponsorship of the annual event, becoming title sponsor of two Show Jumping classes at the event, which take place from 17-23 December 2018. 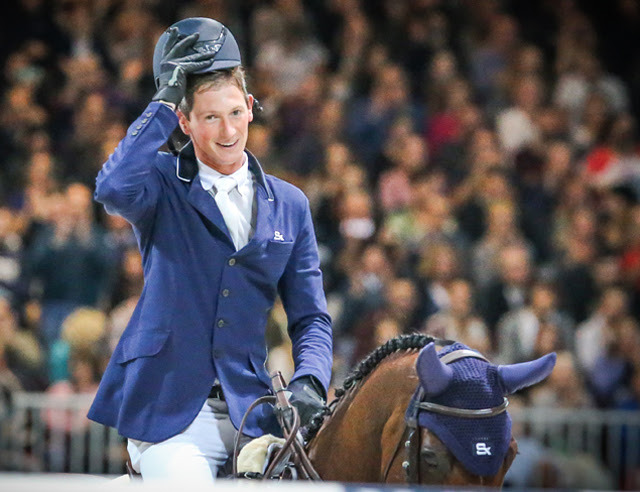 Switzerland’s Martin Fuchs (26) and Clooney produced a spectacular victory as the fourth leg of the Longines FEI Jumping World Cup™ 2018/2019 Western European League more than lived up to expectations at Equita Longines in Lyon, France today. 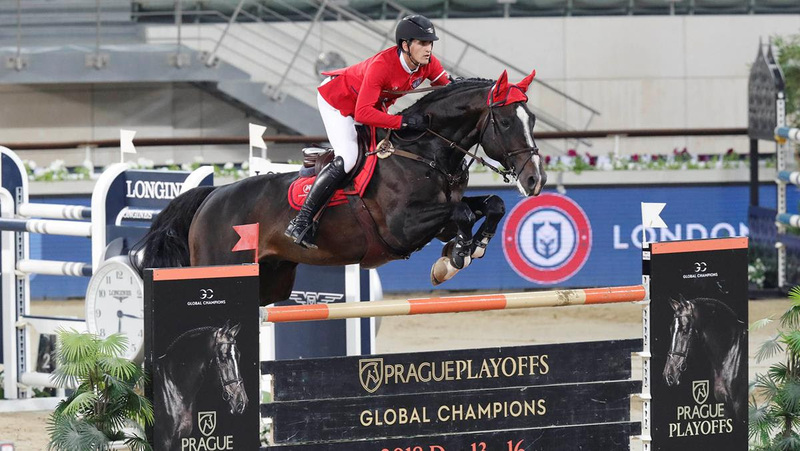 In an edge-of-the-seat 10-horse jump-off that included four riders flying the host-country flag, it came down to a race to catch the target-time set by Italy’s Lorenzo de Luca and Ensor de Litrange who were fifth to go. 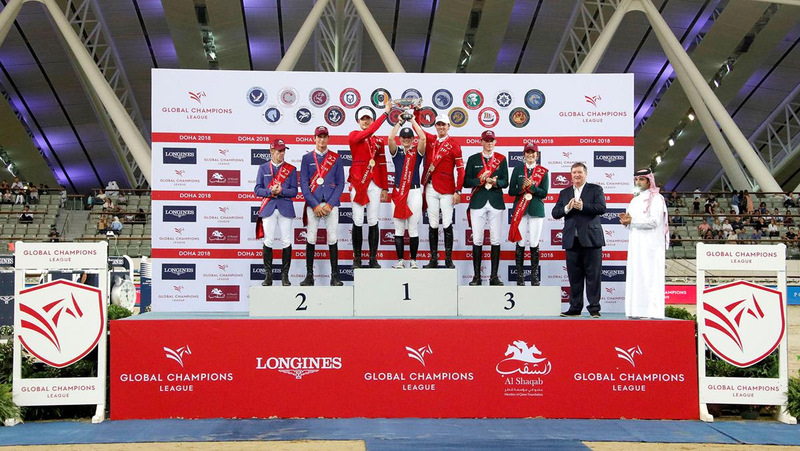 British rider Ben Maher (GBR) will be crowned champion of the 2018 Longines Global Champions Tour at the finals in Doha, Qatar, next week, while seven of the world’s top riders will be locked in an incredible battle for second place. 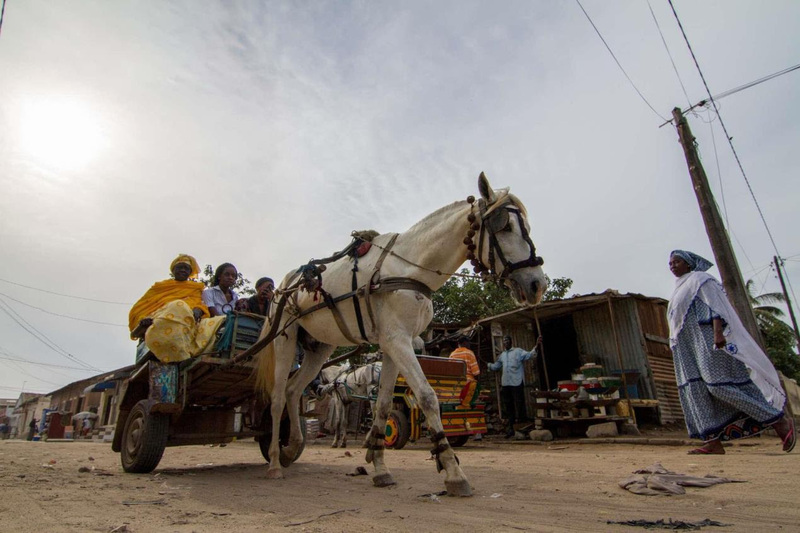 World Horse Welfare, a UK-based charity that improves the lives of horses in the UK and around the world through education, campaigning and hands-on-care, has been announced as the Official Charity for Royal Windsor Horse Show 2019, which will take place in the private grounds of Windsor Castle from the 8-12 May. 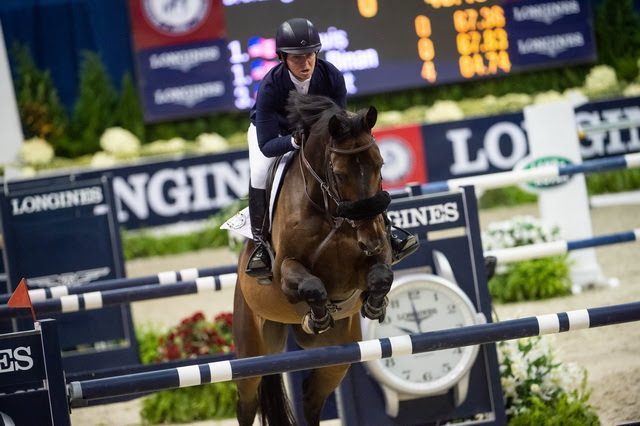 As the defending champion of the Longines FEI Jumping World Cup™ Final, US Olympian Beezie Madden is prequalified for next year’s Final in Gothenburg. Saturday night in Washington, D.C. (USA), she reminded everyone why she’s earned such a distinction. 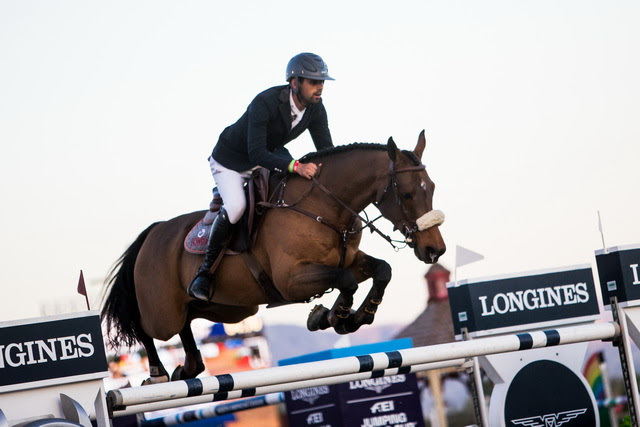 Hoffman, 26, topped the $100,000 Longines FEI Jumping World Cup™ Del Mar with Samson II, besting a compact yet furiously competitive jump-off field of four. 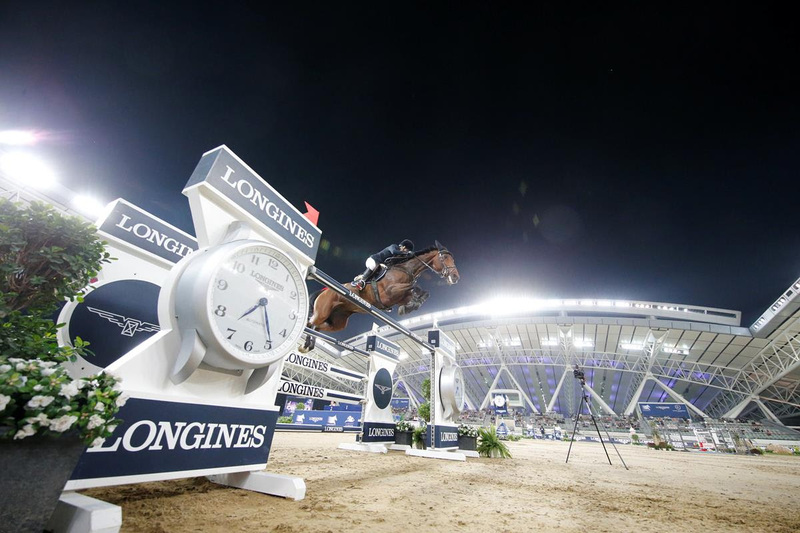 Jumping cleanly over Marina Azevdeo’s (BRA) jump-off track, the duo crossed the timers in 41.68 seconds. 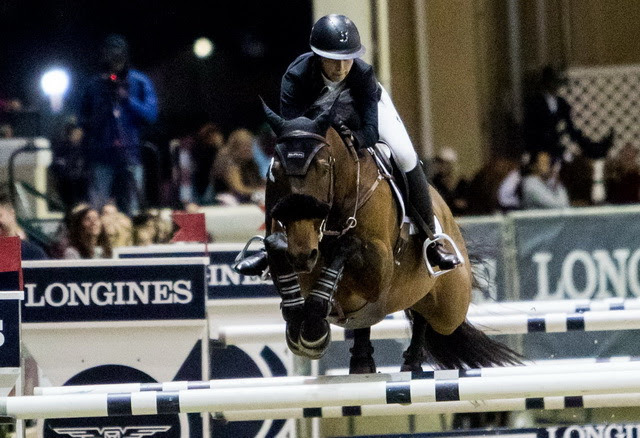 Olympians Eduardo Menezes (BRA) and Quintol finished second as the leadoff pair (42.64), while Georgina Bloomberg (USA) and Chameur (44.73) were third. Gudrun Patteet (33) and Sea Coast Pebbles Z won the sizzling second leg of the Longines FEI Jumping World Cup™ 2018/2019 Western European League in Helsinki, Finland today. 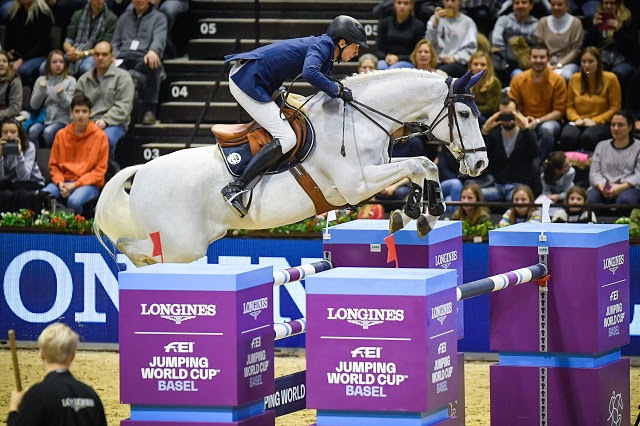 Second-last to go in an edge-of-the-seat 10-horse jump-off, they scorched through the finish to post the Belgian rider’s first-ever World Cup success and to firmly grasp those maximum qualifying points on the road to the Longines Final next April. 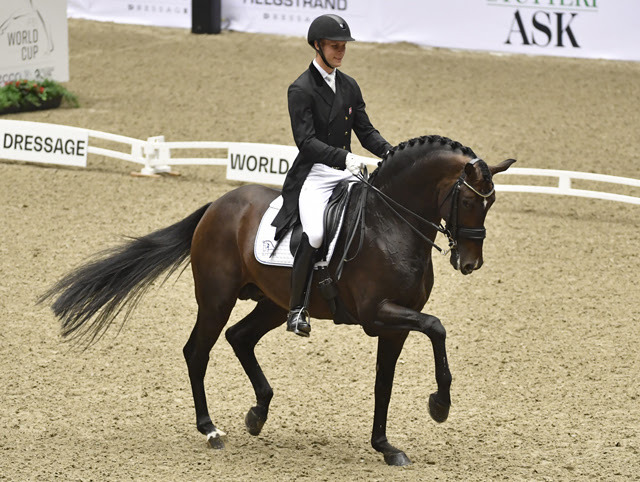 Daniel Bachmann Andersen (28) and Blue Hors Zack were definitive winners of today’s first leg of the new FEI Dressage World Cup™ 2018/2019 Western European League season on home ground in Herning, Denmark. All five judges put the Danish duo into pole position while Germany’s Helen Langehanenberg (36) steered Damsey FRH into second spot ahead of Sweden’s Tinne Vilhelmson Silfven (51) and Don Auriello in third. 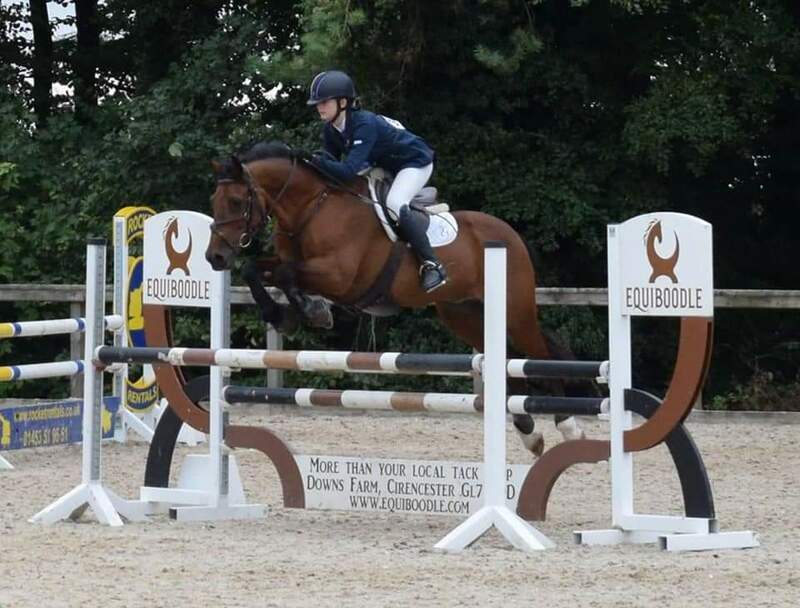 Event rider Georgie Spence has joined horse health experts Haygain as a supported rider. 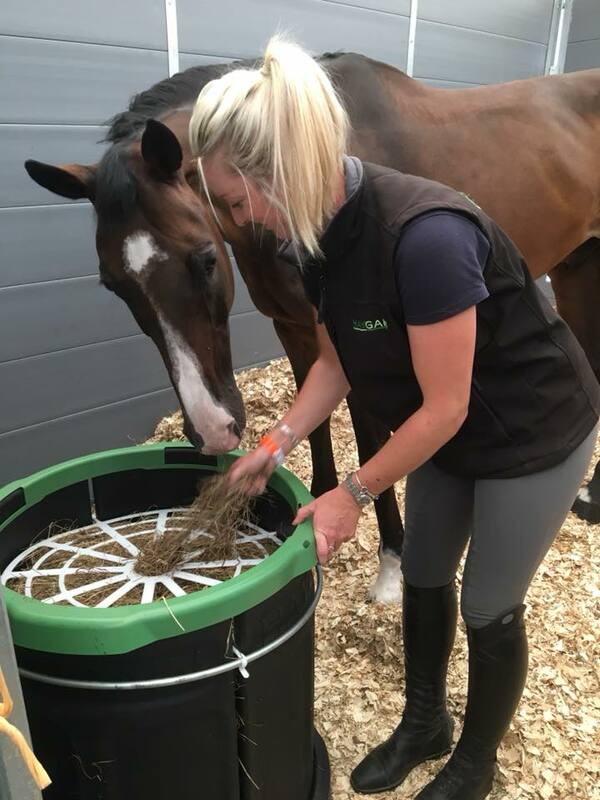 Georgie has been using the Haygain products for some time and relies on their patented technology to ensure her horses feel their best for their International and top level competition. 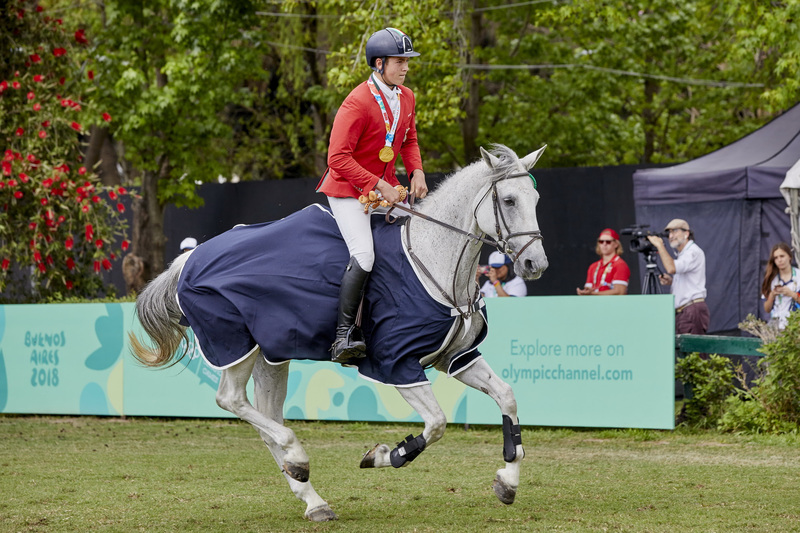 14th October 2018 – Italy’s Giacomo Casadei claims individual gold in fantastic five way jump off! 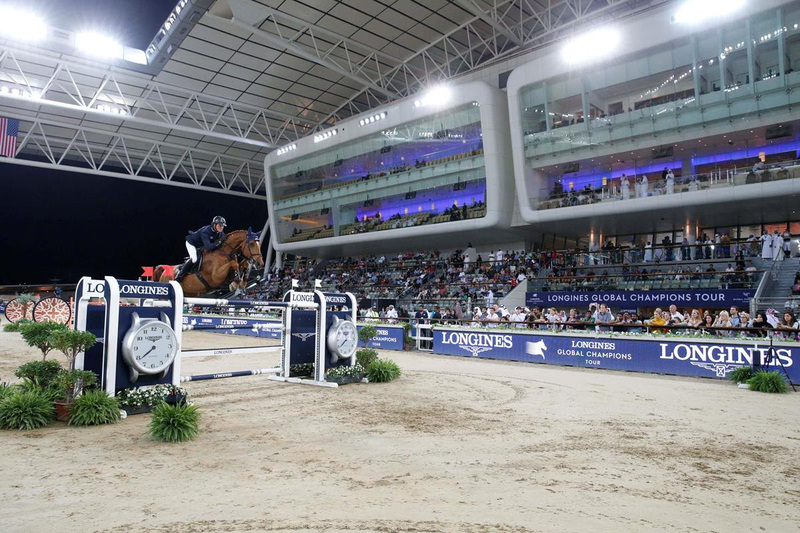 Having produced clears all week, Giacomo Casadei (ITA) sailed through the six fences of the jump off and did so at an impressive pace to claim gold, followed by UAE’s Omar Almarzooqi and La Corina Lala producing the only other clear of the jump off in silver. The bronze went to Pedro Espinosa from Honduras riding Llavaneras Genquina who was quickest of them all, but picked up four faults on his way around. 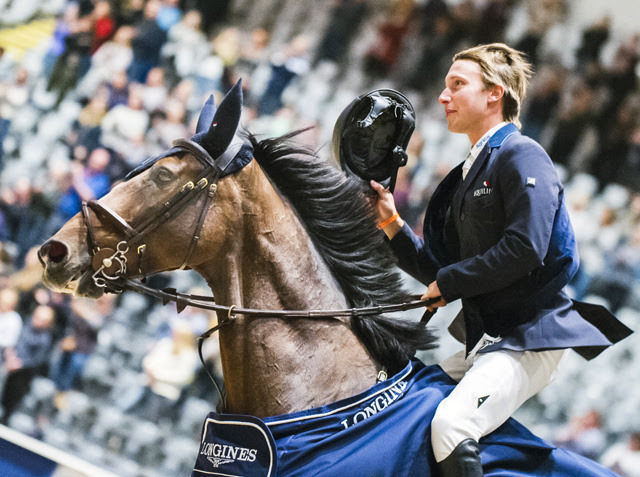 It takes courage to give it everything you’ve got, and Sweden’s Douglas Lindelöw (27) and his brilliant bay gelding Zacramento threw down a really courageous performance to win the first leg of the Longines FEI Jumping World Cup™ 2018/2019 Western European League in Oslo, Norway. 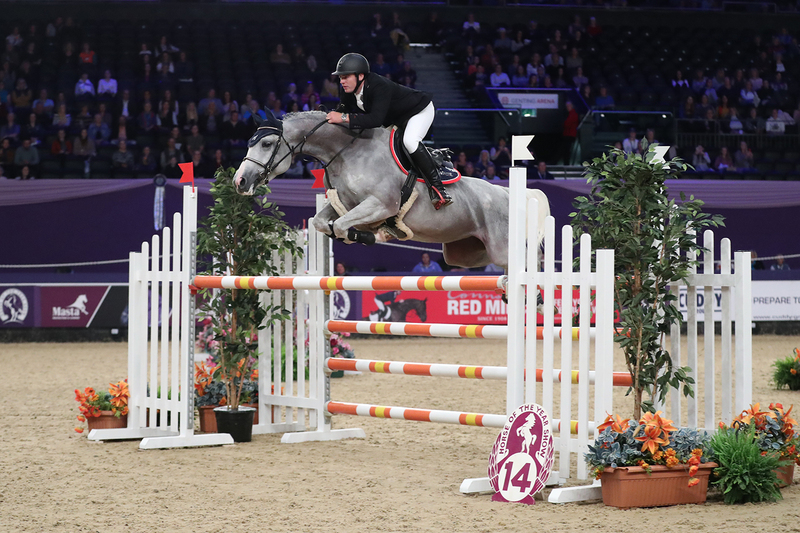 Karel Cox put the seal on a memorable day for Belgian showjumping when he won the Horse of the Year Show’s Leading Showjumper of the Year grand prix on Sunday evening at the NEC Genting Arena in Birmingham. 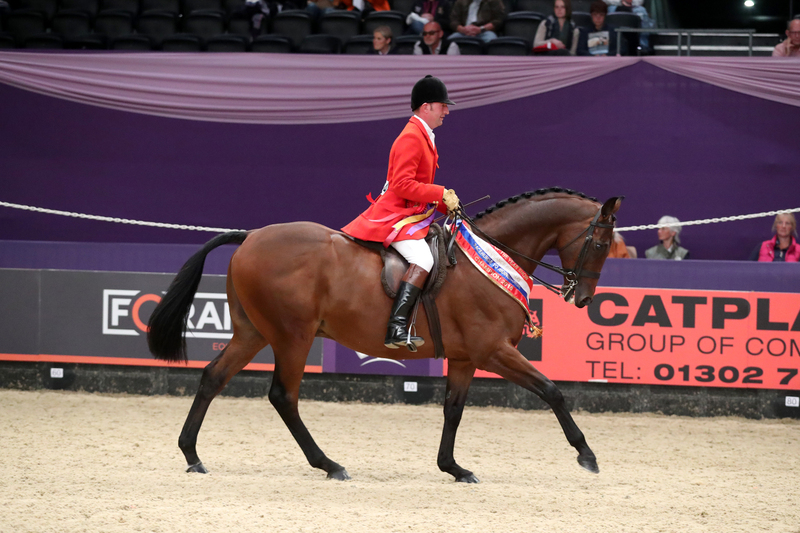 Just hours after the Belgian team were crowned Nations Cup champions in Barcelona, Karel came up trumps with nine-year-old gelding Evert to land a top prize of £13,200. 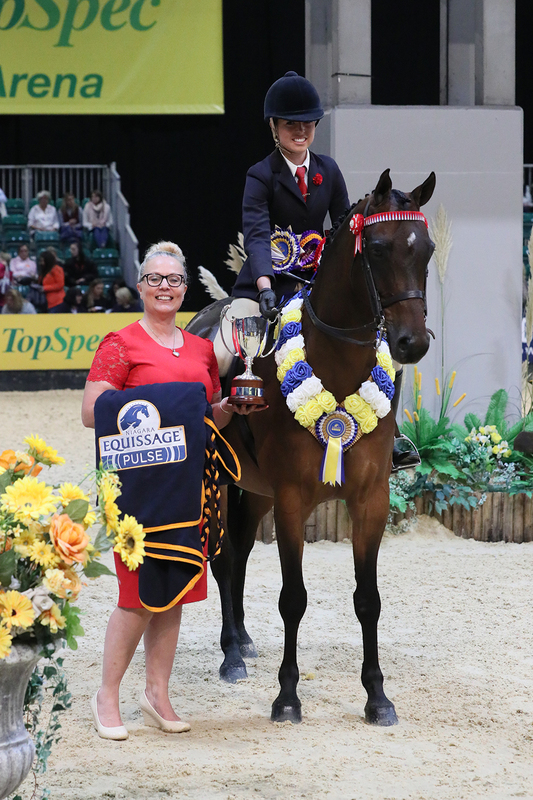 Horse of the Year Show (HOYS) 2018 started with Diane Stennett’s outstanding mare Time 2 Reflect defending her Ladies Side Saddle Horse of the Year title – and it has ended with her being crowned Ripon Select Foods Supreme Horse of the Year. 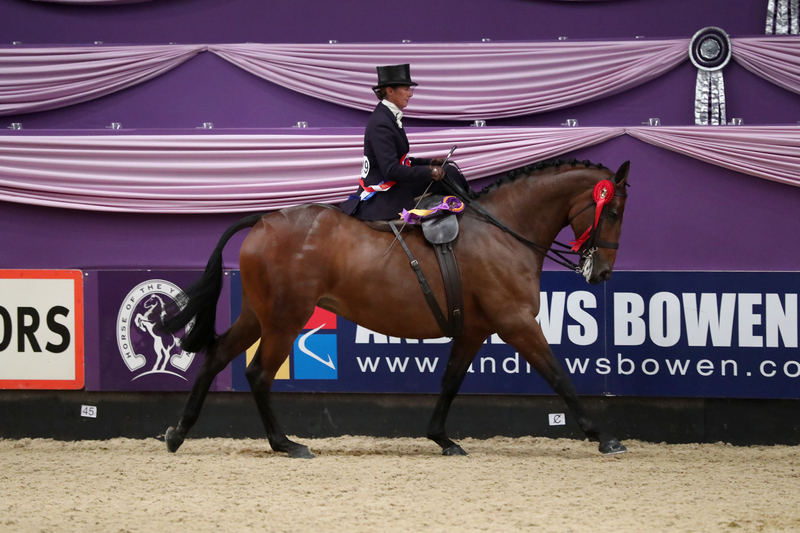 Originally called the ‘Champions of Champions’, the Supreme saw Betty, as she is known at home, go beautifully in the Andrews Bowen International Arena ridden by Jayne Ross, and top her numerous HOYS titles with this ultimate accolade. 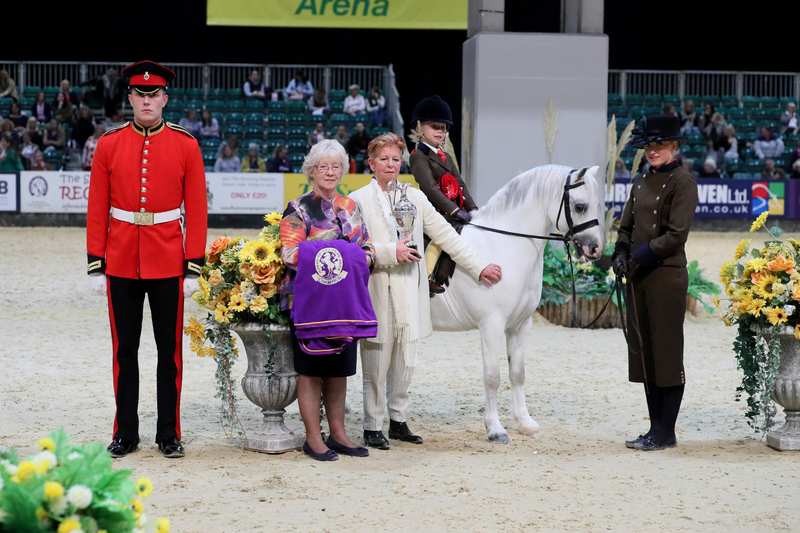 A five-year-old pony who has only been lightly shown this year has taken the ultimate accolade of the showing season, becoming Champion of Champions and Ruckleigh School Supreme Pony of the Year at the 70th Horse of the Year Show (HOYS). 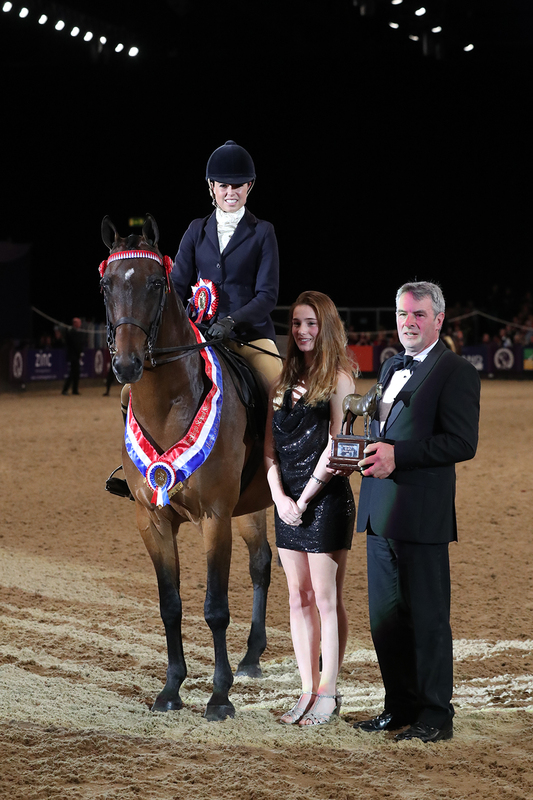 The British Riding Pony, known as Horris at home, is owned by Charlotte Read and was ridden in the ring by producer Lucy Glover, who partnered him to victory in the Equissage Pulse Ridden Partbred Pony of the Year earlier in the week. He is by Chiddock Stop Watch out of Wilderness Carmen. 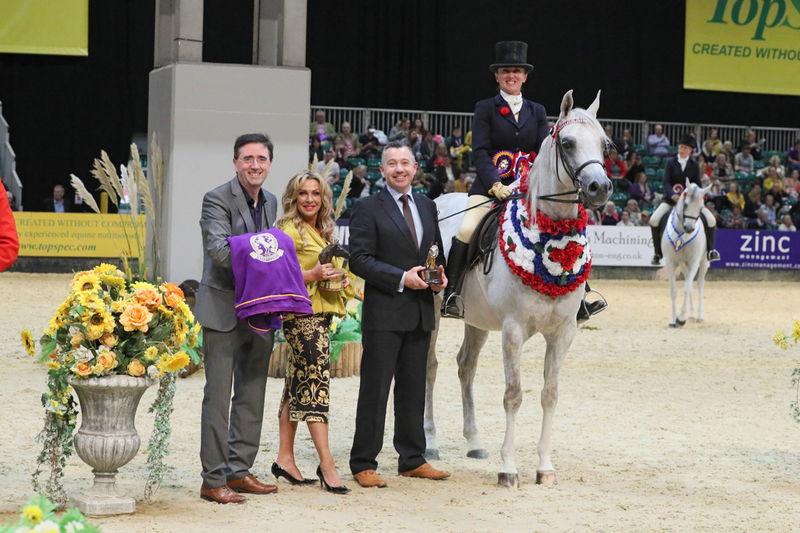 Now in its third year at HOYS, the Junior Mountain & Moorland Ridden Pony of the Year sponsored by Ponies Association (UK) found its next Champion in Skellorn Prairie Starlight (Star), a striking Connemara gelding owned by Katy Louise Seedhouse and ridden by Harrison Taylor. The whole team who had come out to support Harrison and six-year-old Star were absolutely over the moon with the result. The eight-year-old had claimed the Native/Cob/Traditional Horse section earlier in the day. Rider Adam Forster didn’t have any plans for the Championship, other than to enjoy it, but The Magpie pulled it out of the bag, much to the delight of all of his connections who were watching from the ringside. The breeding of The Magpie is unknown; he was found tethered at a beach in Ireland. He was bought by Claire Lupton as a three-year-old and Adam has ridden him for the past three seasons. He’s been particularly consistent this season, also winning at the Royal International. 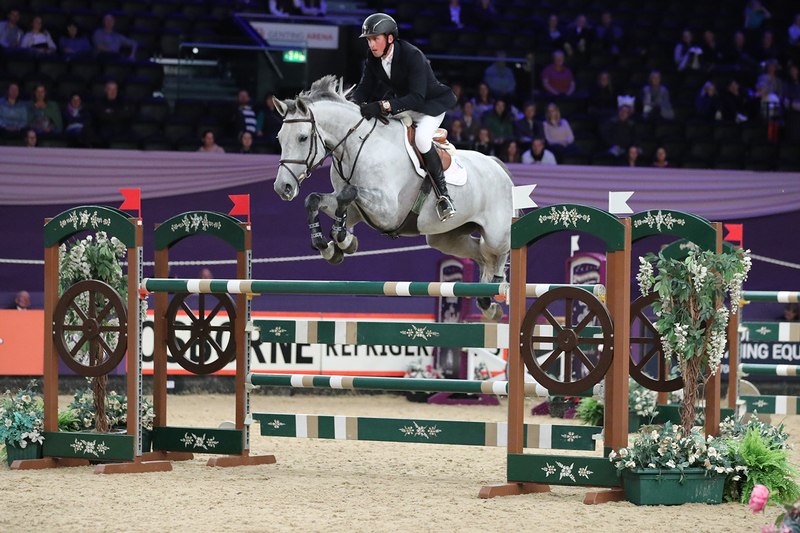 Ireland’s Trevor Breen maintained his remarkable unbeaten record in the Talent Seekers, incorporating the seven-year-old Championship at Horse of the Year Show in Birmingham at the NEC Genting Arena. In true form he did it on a horse that he had never sat on until just 36 hours before the competition – Diamant S Aurora . 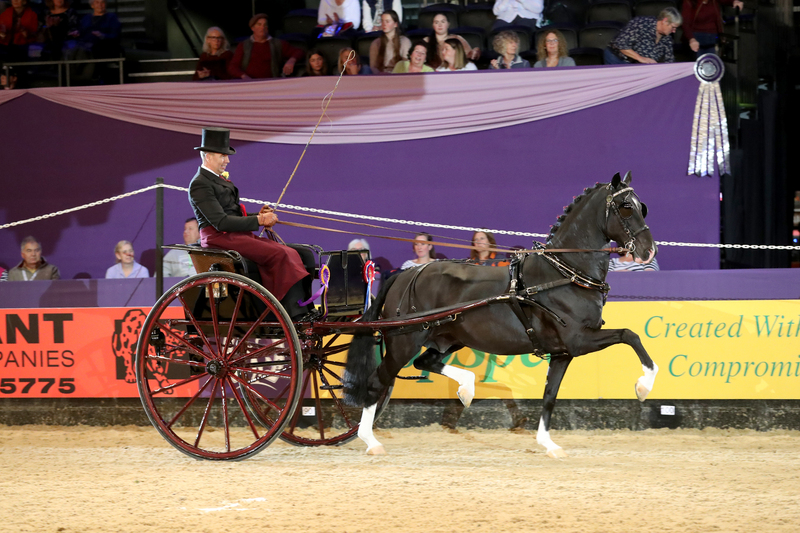 Producer Lucy Glover rode Charlotte Read’s British Riding Pony, Carmens Novello, into the ribbons in the Equissage Pulse Ridden Partbred Pony of the Year Championship. 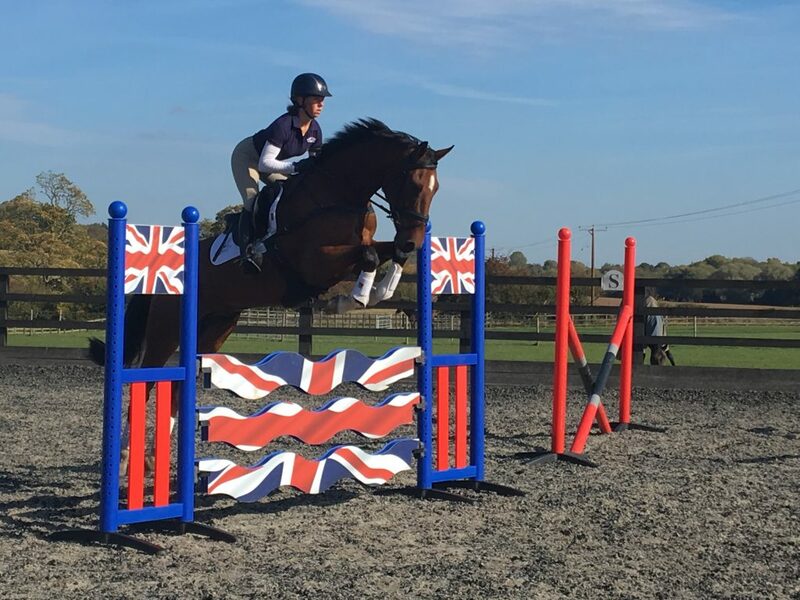 Charlotte bought the five-year-old gelding just after Horse of the Year Show (HOYS) last year, where the pony competed in the Show Hunter Pony Championship, and Lucy has since produced him into a full show pony. He was one of just three five-year-olds to qualify for the Partbred Championship, showing ability in the ring beyond his years. 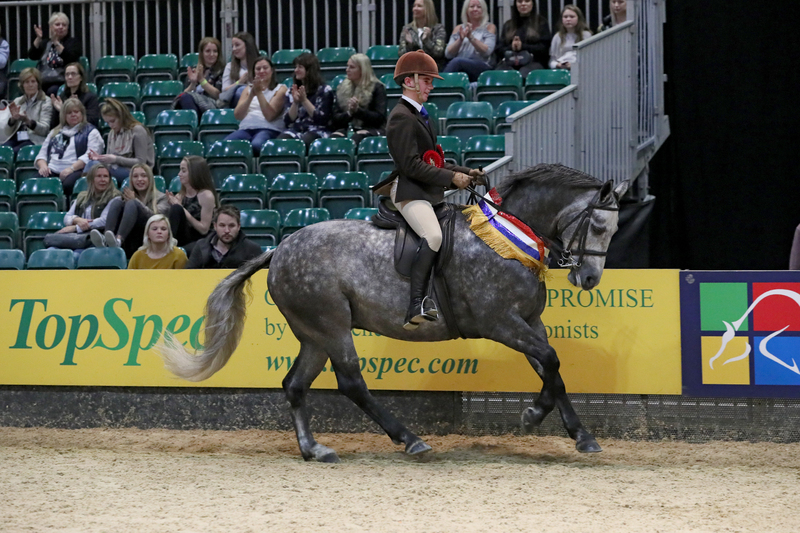 Grey mare Chilli – world five-year-old champion in 2017 and six-year-old runner-up in 2018 – triumphed in emphatic fashion in the Andrews Bowen International Arena. It really was a case of red hot chilli jumper as she blew away the opposition to take a five horse jump-off by more than two seconds from Alex Hempleman and Jalanna, with Michaela Webb and Amarillo FSH taking third. 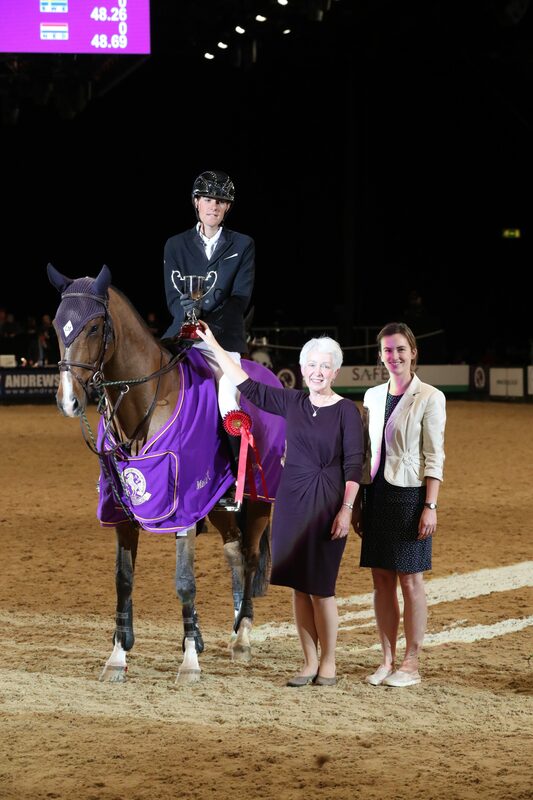 Whilst it was a first HOYS win for Susan Robinson’s grey gelding, Clare is no stranger to the ring, having taken the same title last year with another Arab she produced, Mirv. 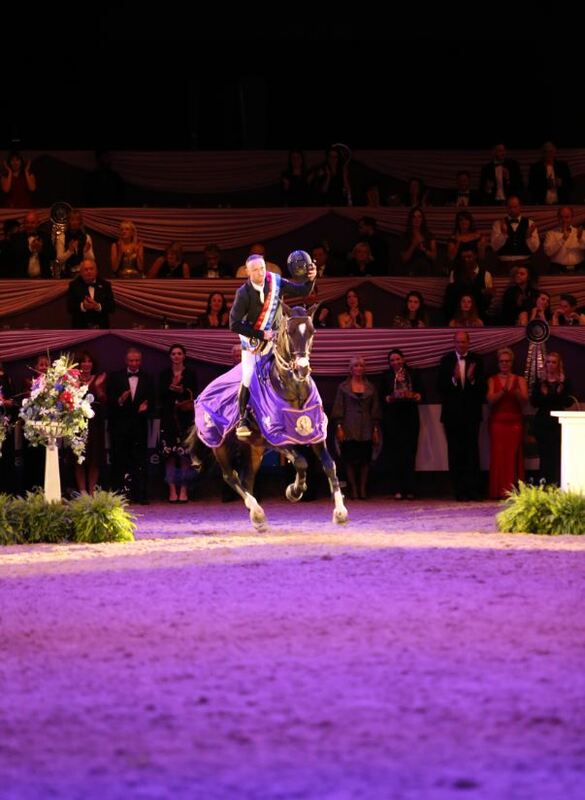 It’s been a great first open season for the six-year-old AJA Giuliano who also stood Supreme Champion at the British Arabian Championships and qualified for HOYS on his third attempt, standing reserve champion twice before clinching his golden ticket – third time lucky! Yorkshire-based driver Neil and the young black stallion Plains Royalty won a keenly-contested class that also saw Malcolm Salter and Newydd Beau named as reserve champions. 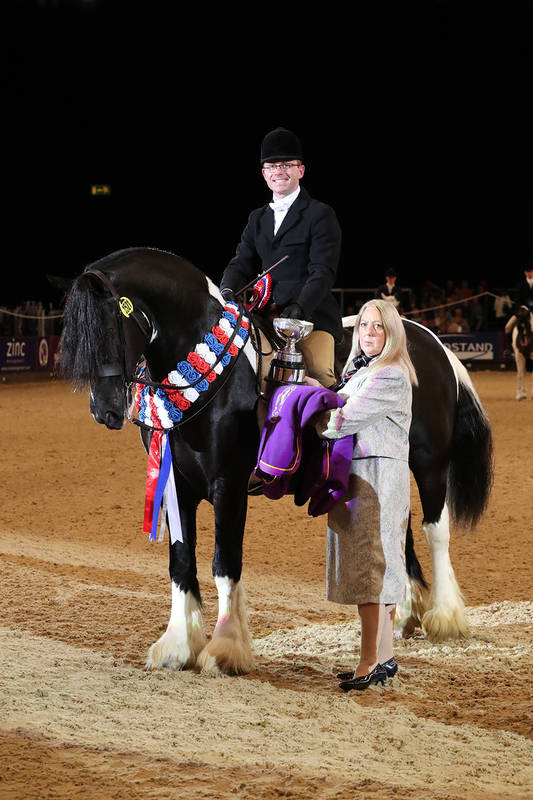 The prolific winning Mountain & Moorland pony and reigning Ruckleigh School Supreme Pony of the Year here at Horse of the Year Show (HOYS), Thistledown Van-der-Vaart, has made his own piece of history on day one of the 70th anniversary celebrations. 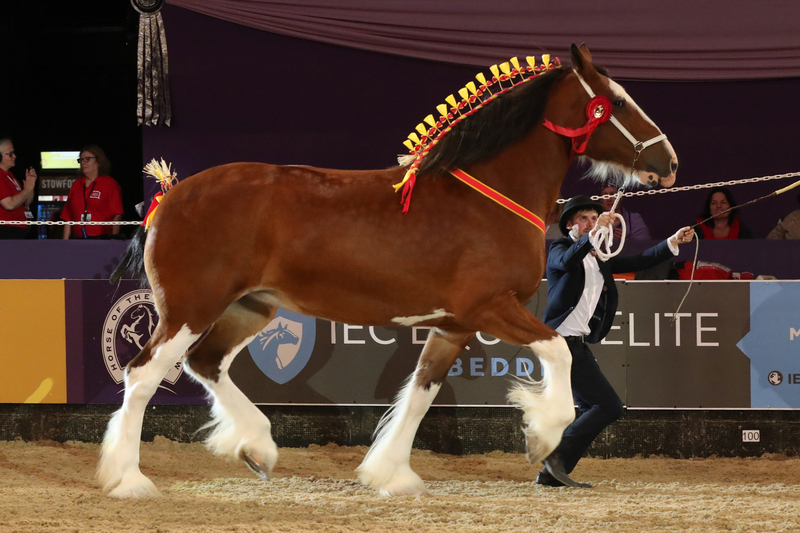 With his usual style and elegance in abundance, the Welsh section A charmed the judges to defend the Brineton Colne Mountain & Moorland Mini Pony of the Year Championship and keep the title for a fourth consecutive year. 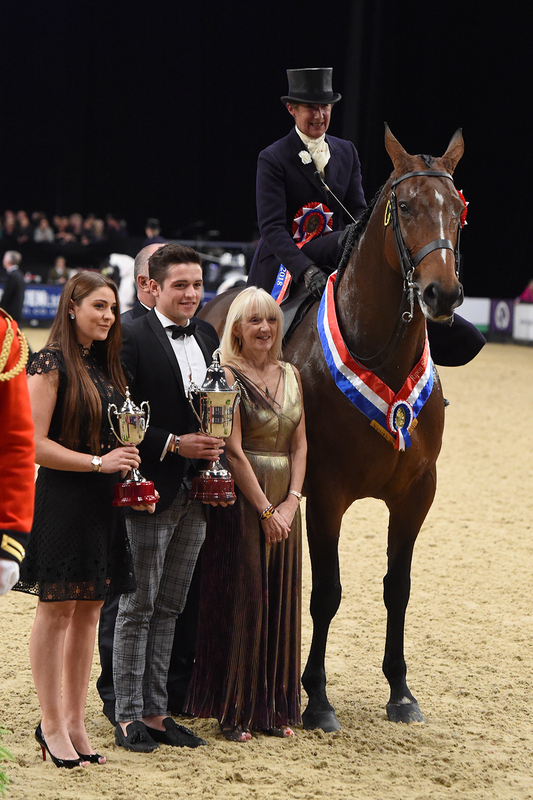 It’s a very special year as Horse of the Year Show (HOYS) celebrates its 70th anniversary at Birmingham’s NEC Genting Arena – and there could not have been a better way to start proceedings in the showing than with the outstanding mare, Time 2 Reflect, defending her Ladies Side Saddle Horse of the Year Show title ridden by prolific HOYS winner Jayne Ross. 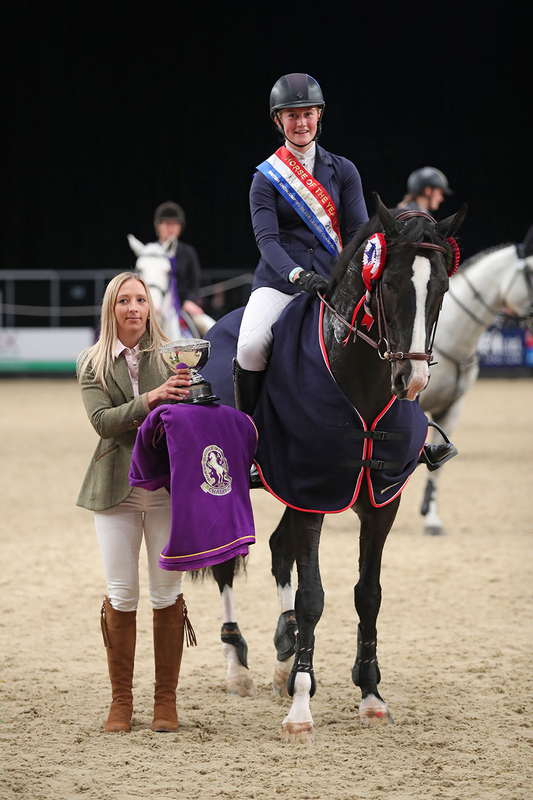 Scottish rider Lucinda Stewart made a nine-year wait worthwhile as she claimed a thrilling victory on the opening day of the Horse of the Year Show at Birmingham’s Genting Arena. Lucinda, from Ayrshire, last competed at the prestigious event, which celebrates its 70th anniversary this year, in 2009. 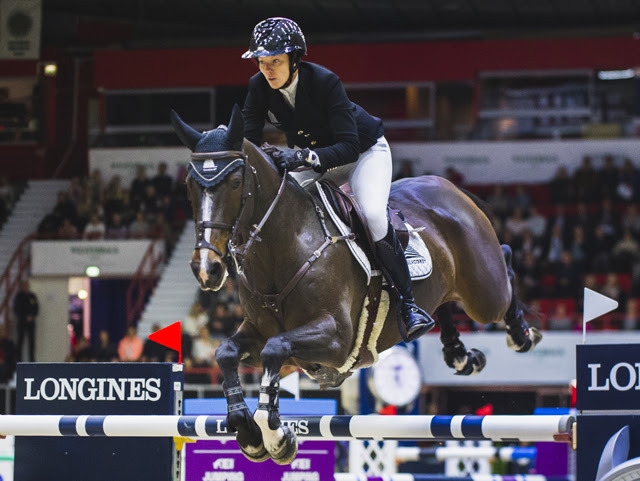 But she returned in style, winning the British Showjumping Silver League Championship on nine-year-old gelding Cancun II. A total of 14 combinations contested the one round and jump-off class, and Lucinda posted one of seven clear rounds. 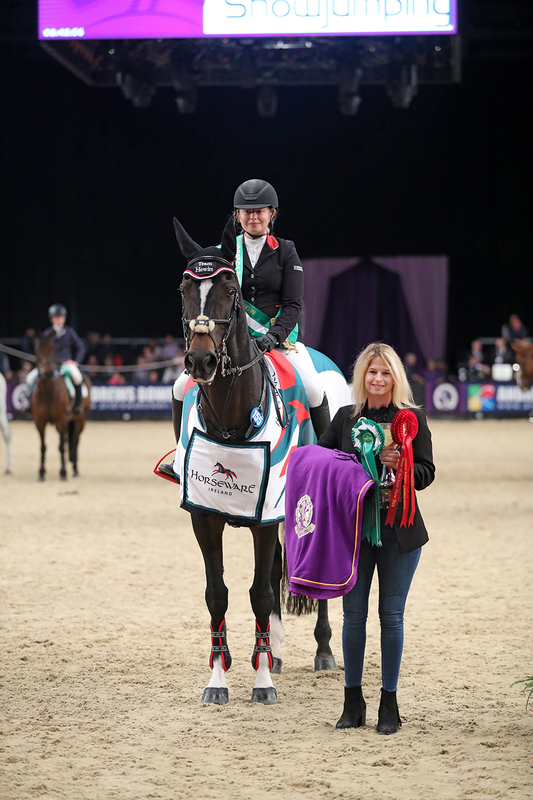 Natasha Hewitt launched the 2018 Horse of the Year Show in Birmingham by being crowned Horseware Bronze League Champion. There was no doubting the Doncaster-based rider’s supremacy in the opening class of an eagerly-awaited 70th anniversary show aboard JJS Impressive. While Natasha admitted that she was struggling to comprehend her success, the early morning audience at the Genting Arena were left in do doubt following a dominant display. Four combinations from 14 starters recorded clear rounds, with Natasha being joined in the jump-off by Lucy Rennie (Parkhill Legacy), Katrina Beney (Zoey) and Alice Ellison (Britney IV).